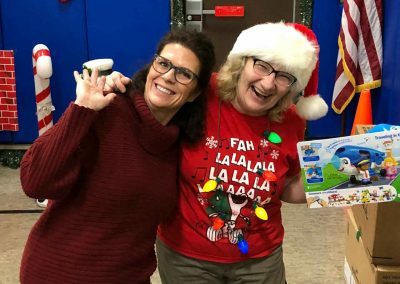 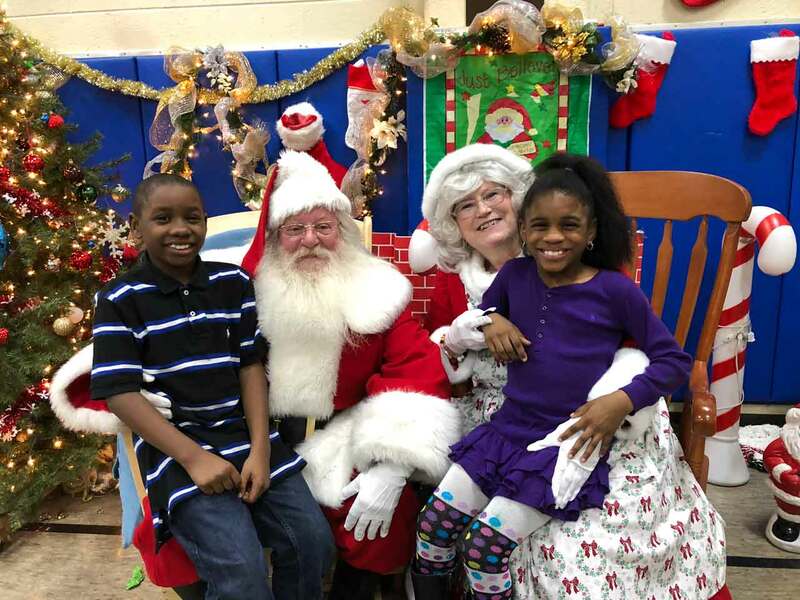 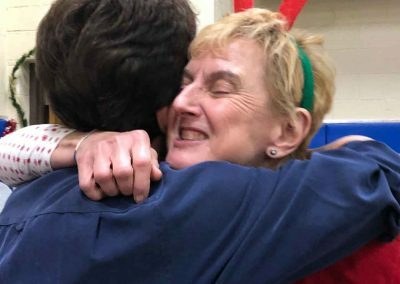 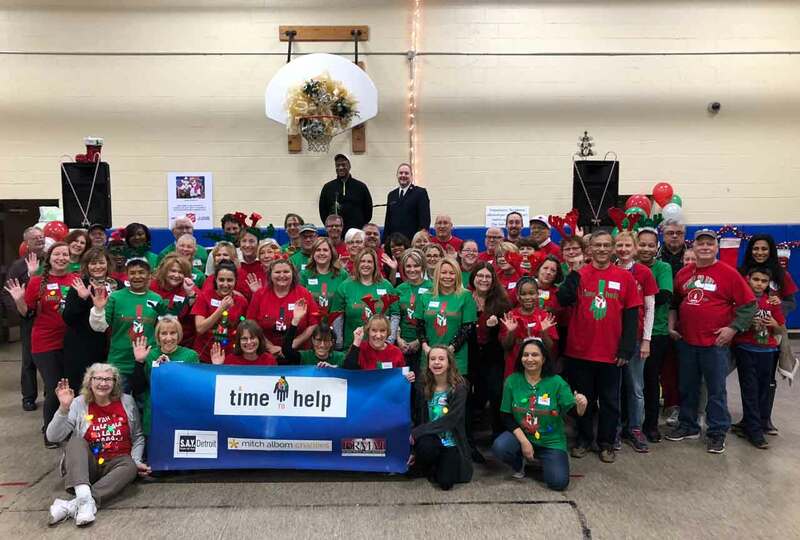 DETROIT: What do you get when you gather 175 children, 65 volunteers, limitless activities filled with nothing but fun — and a surprise visit from Santa Claus? 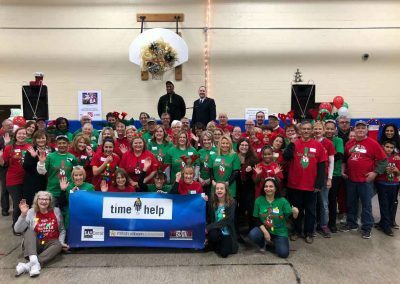 Why, it’s the annual SAY Detroit/A Time to Help Christmas Party to benefit shelter women and their children at The Salvation Army Harbor Light. 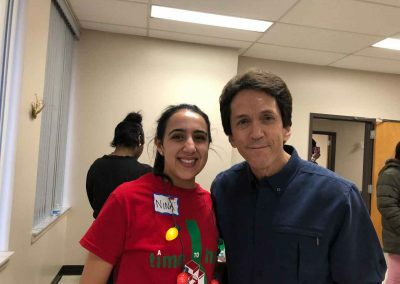 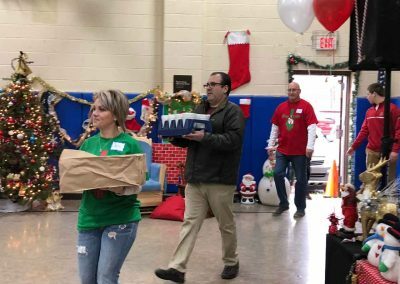 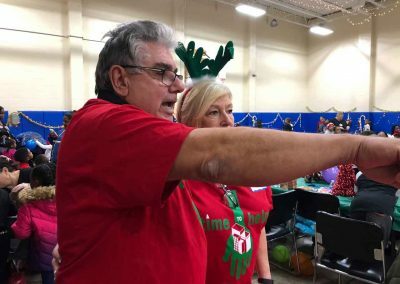 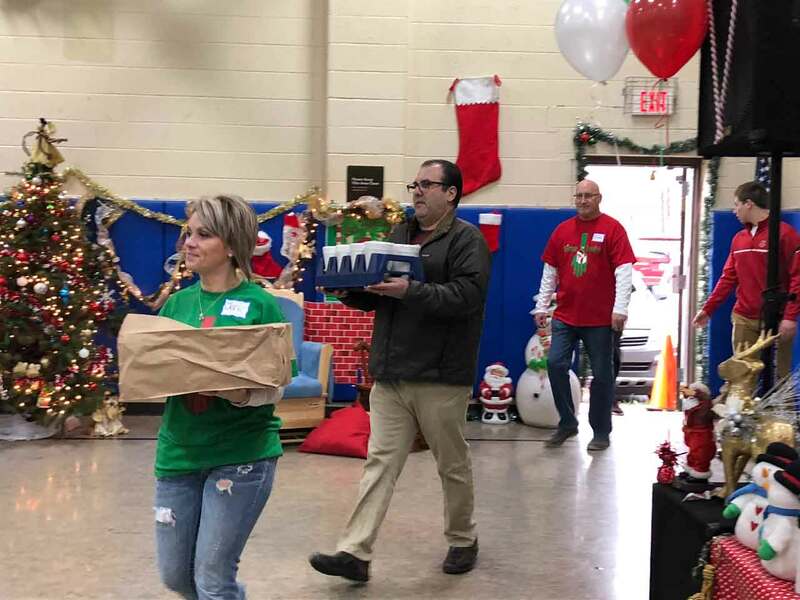 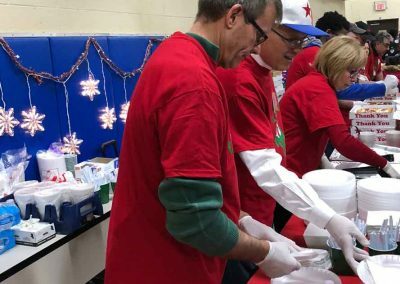 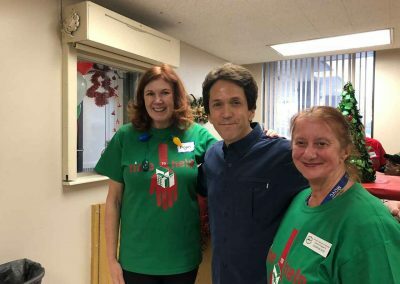 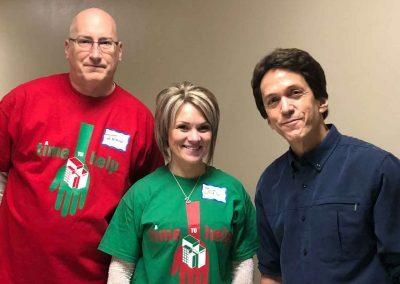 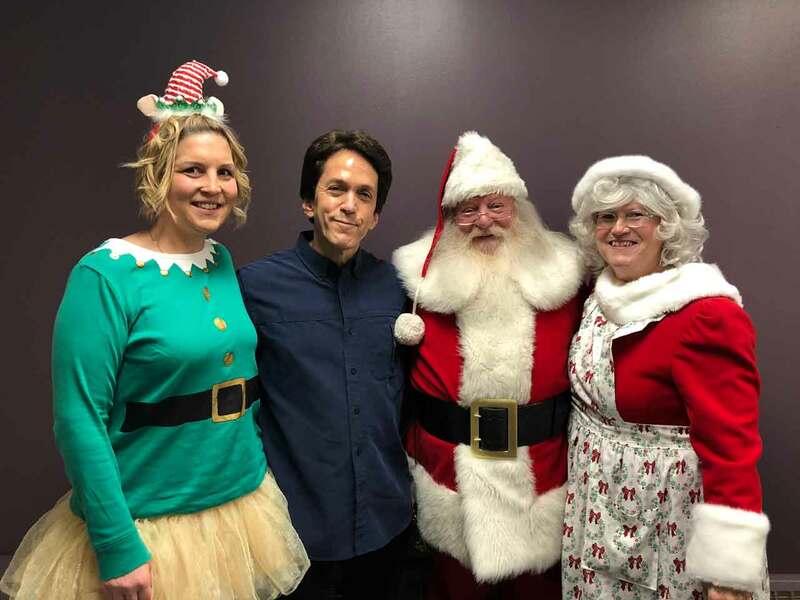 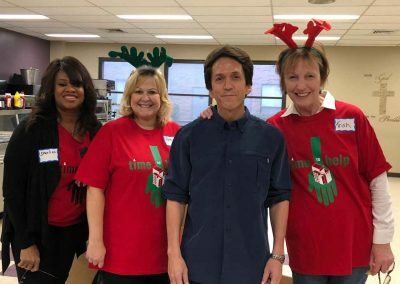 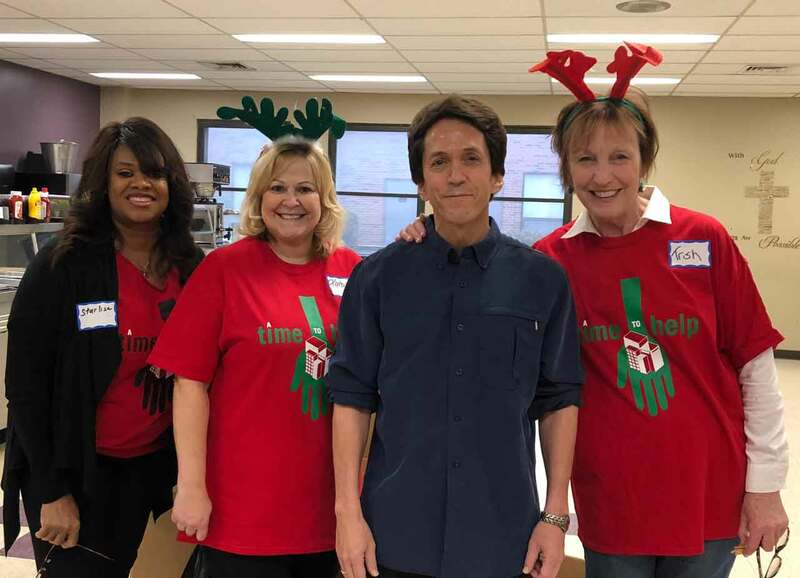 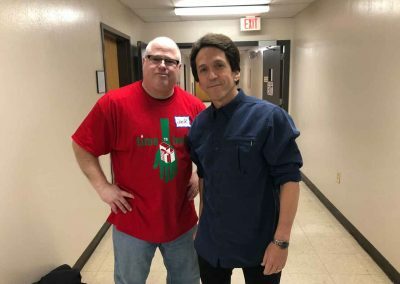 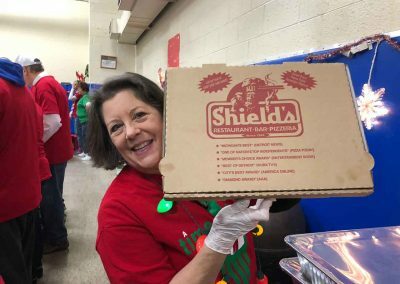 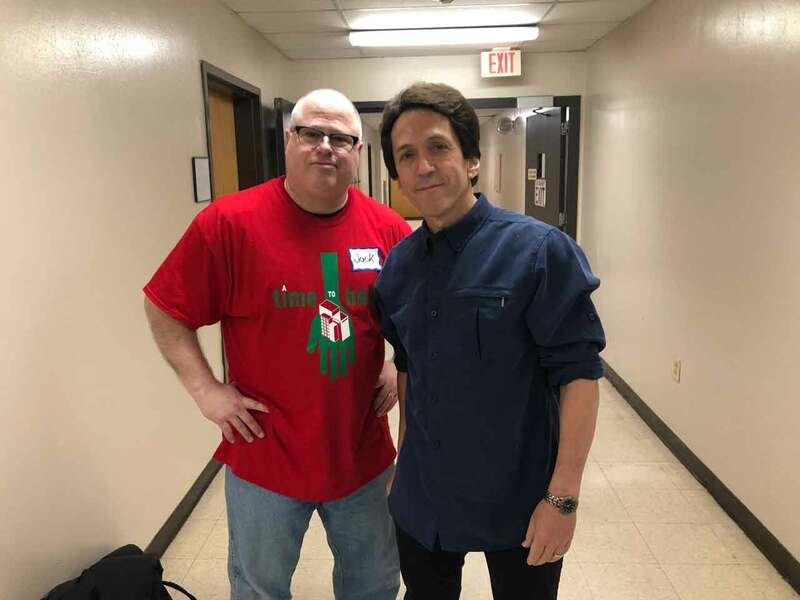 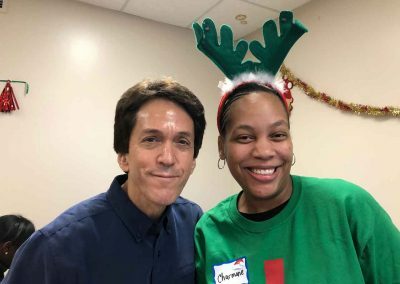 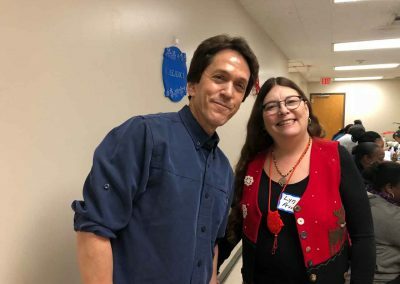 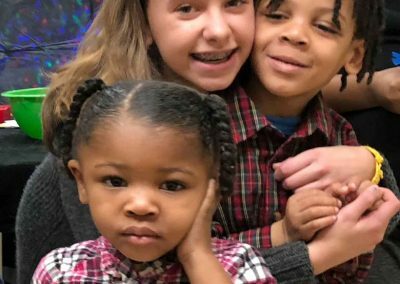 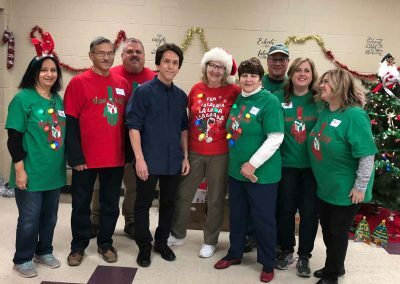 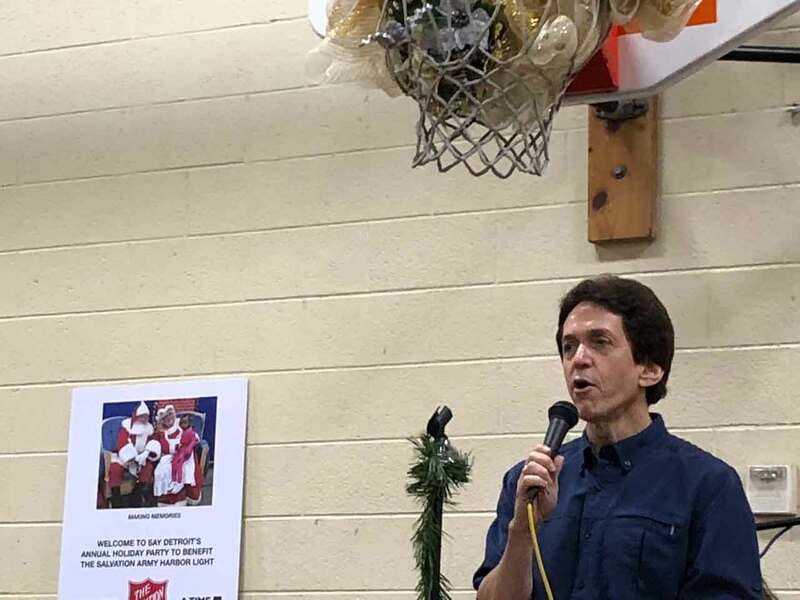 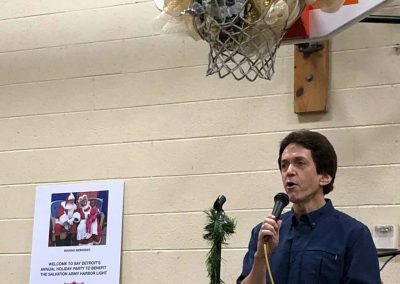 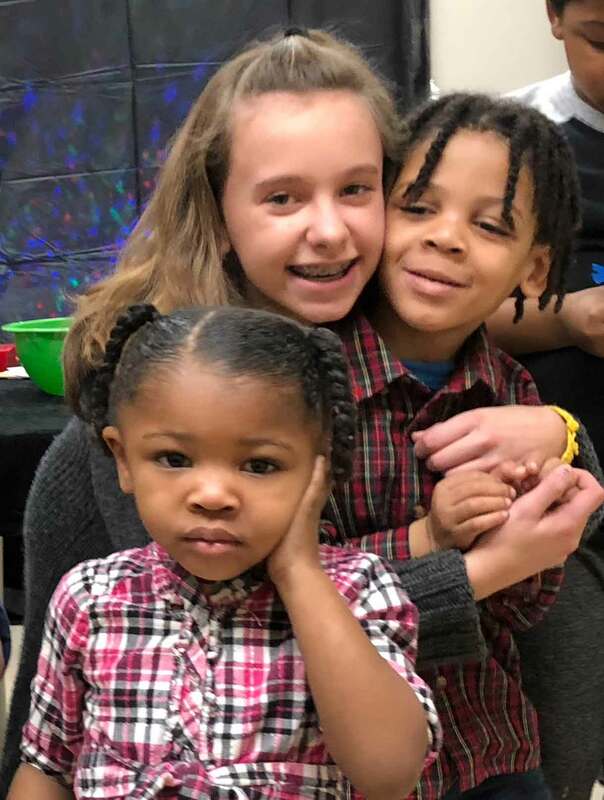 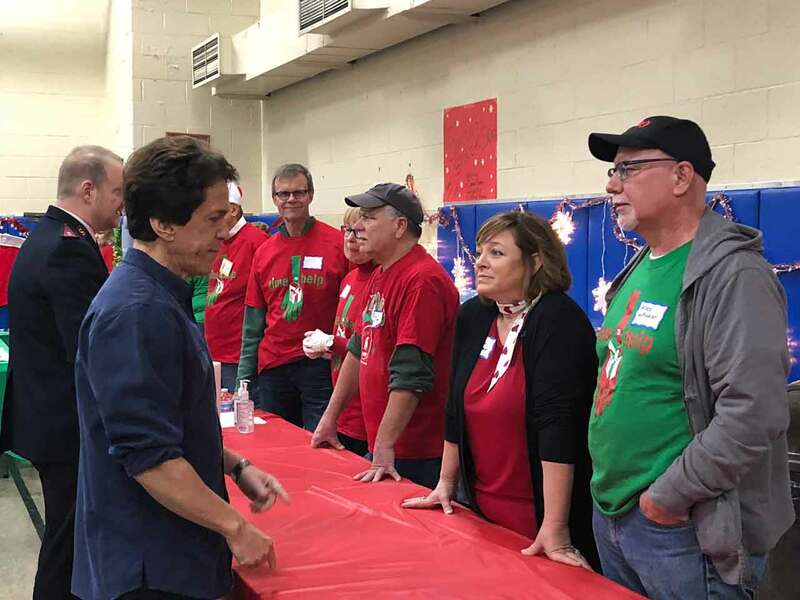 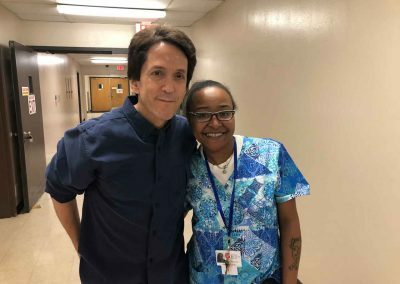 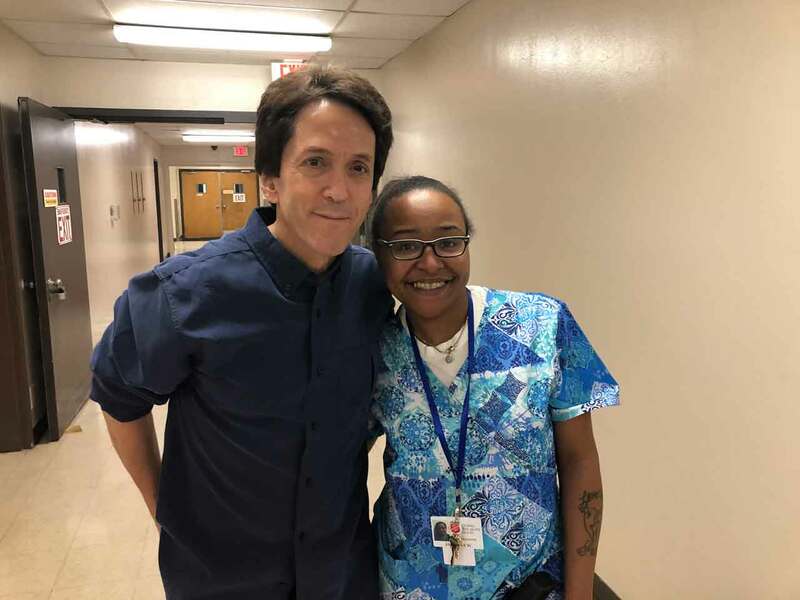 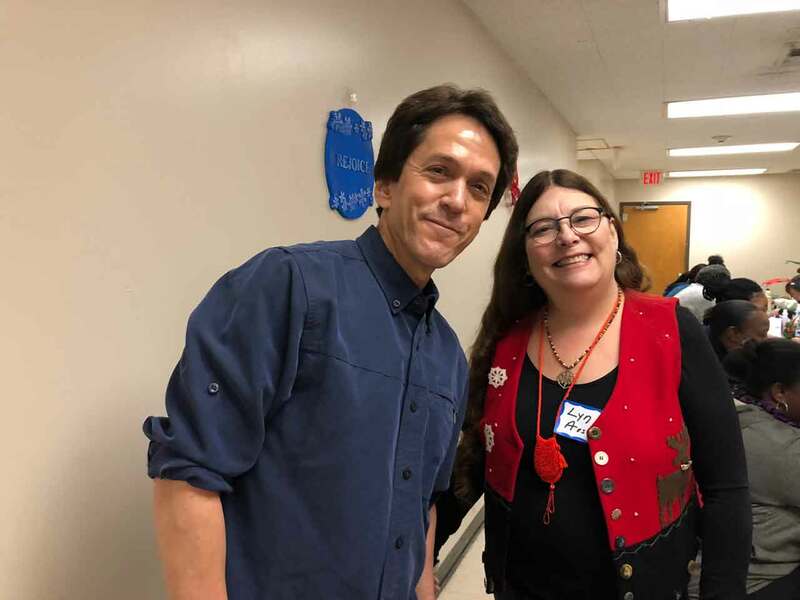 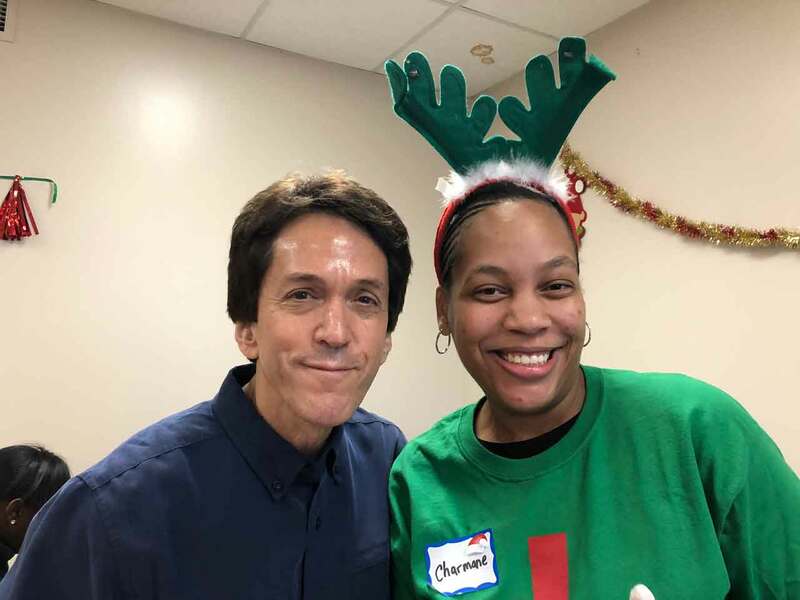 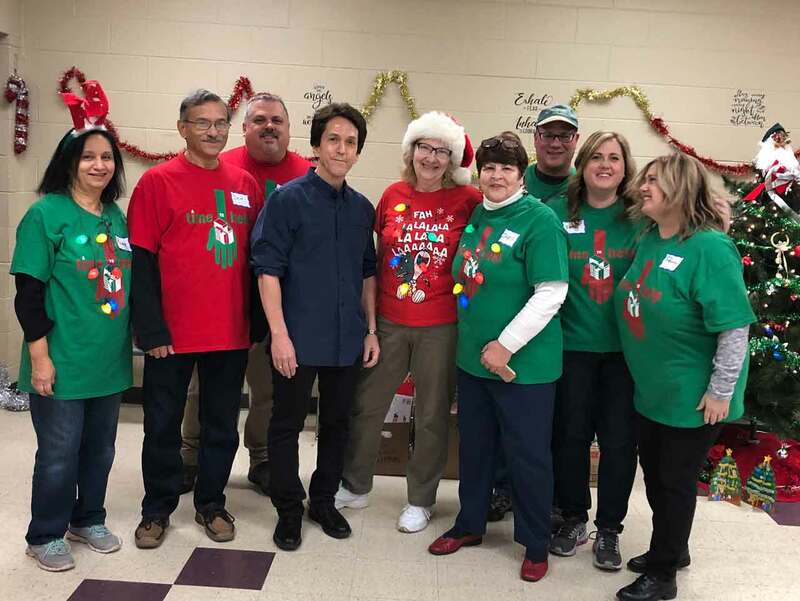 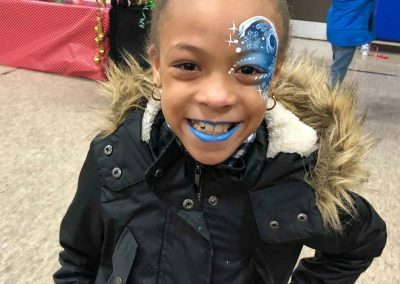 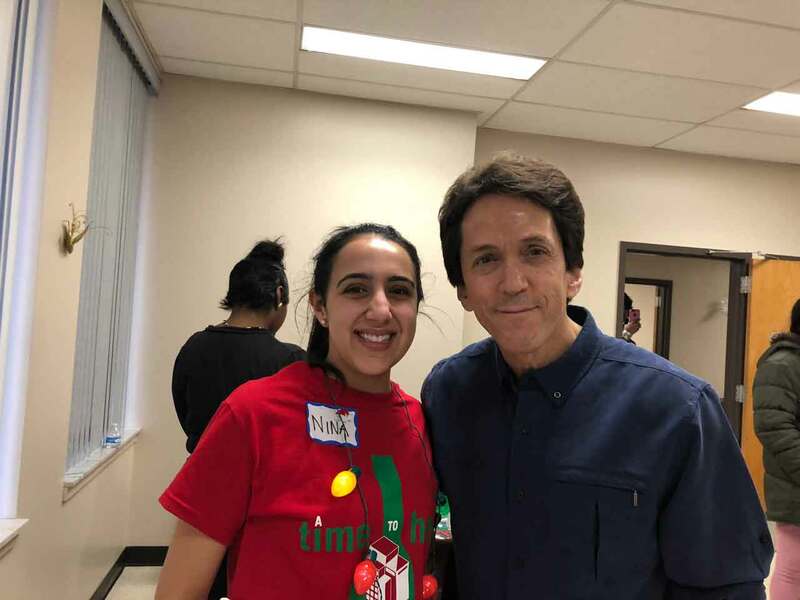 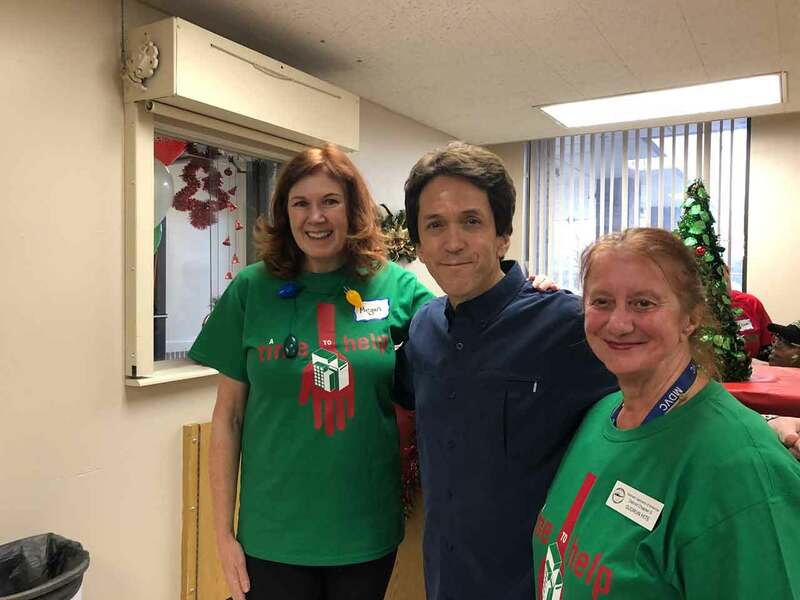 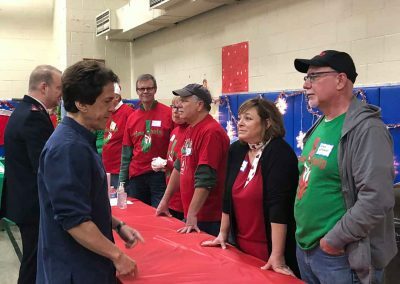 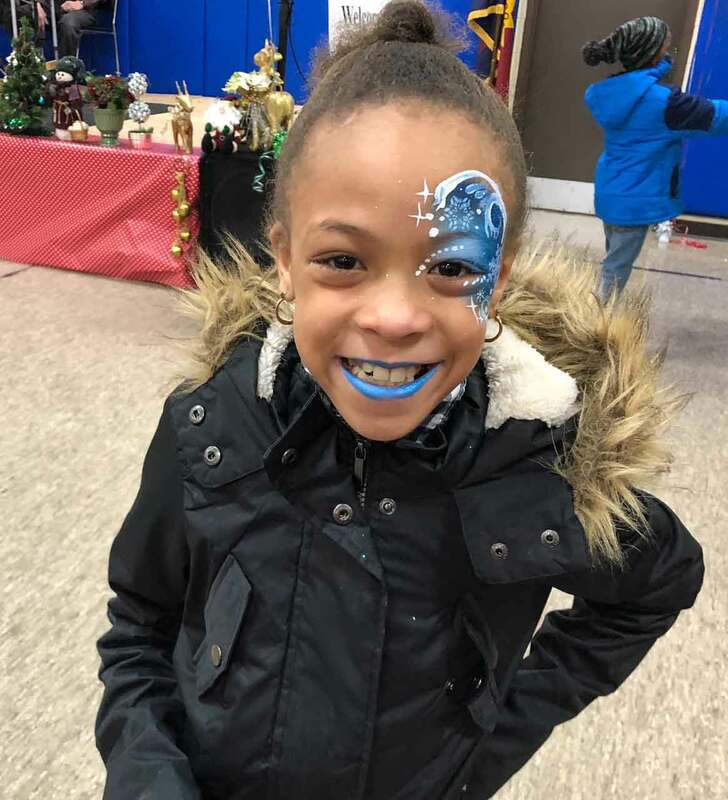 Hosted by SAY Detroit founder Mitch Albom and his radio show co-host Ken Brown, the 21st edition was a smash hit Saturday (Dec. 1), brightening the day for dozens of mothers and their children who are in need of holiday warmth and cheer this time of year. 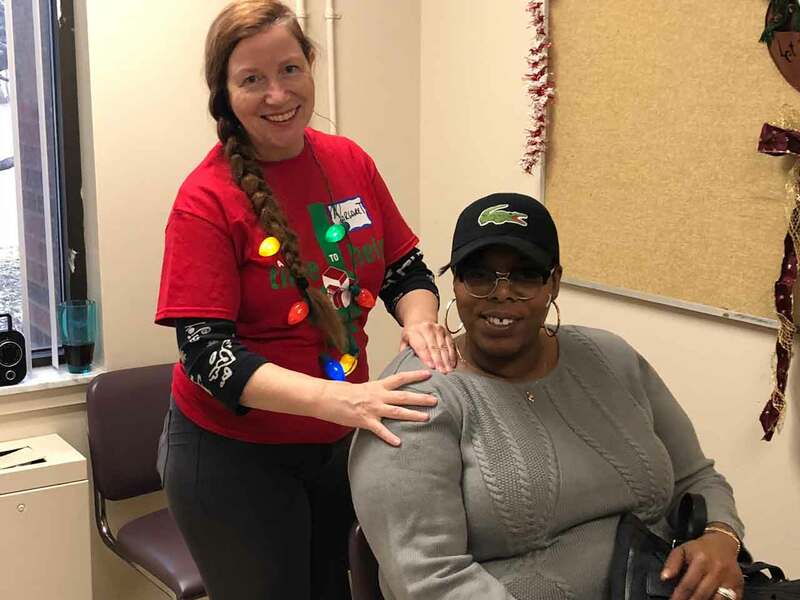 A holiday store staffed with volunteers assisted the mothers in shopping for new clothing. Guests and children were treated to snacks in the morning and a pizza party sponsored by Shield’s at lunch. 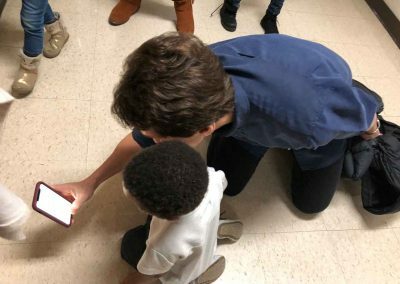 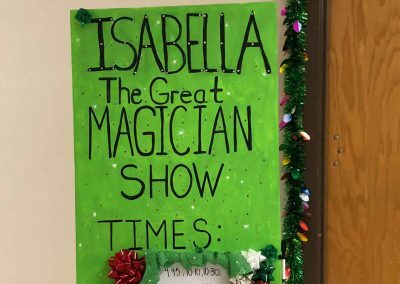 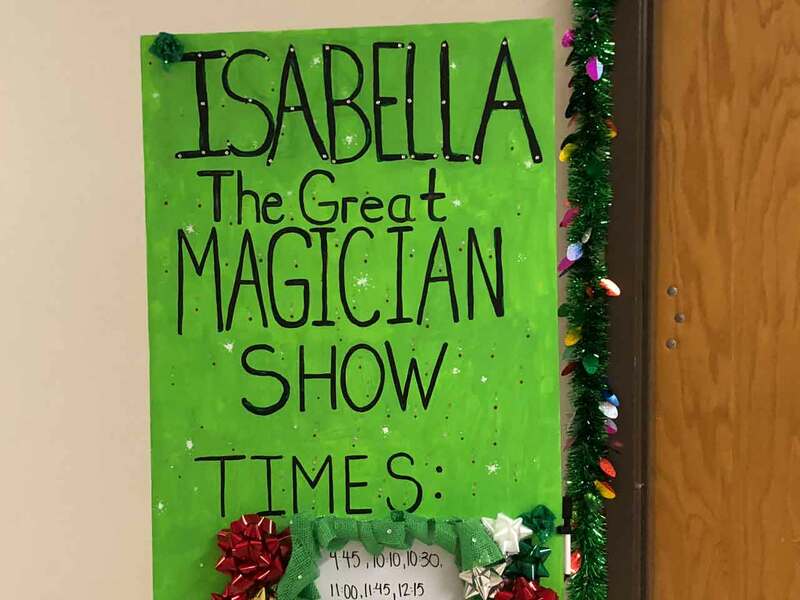 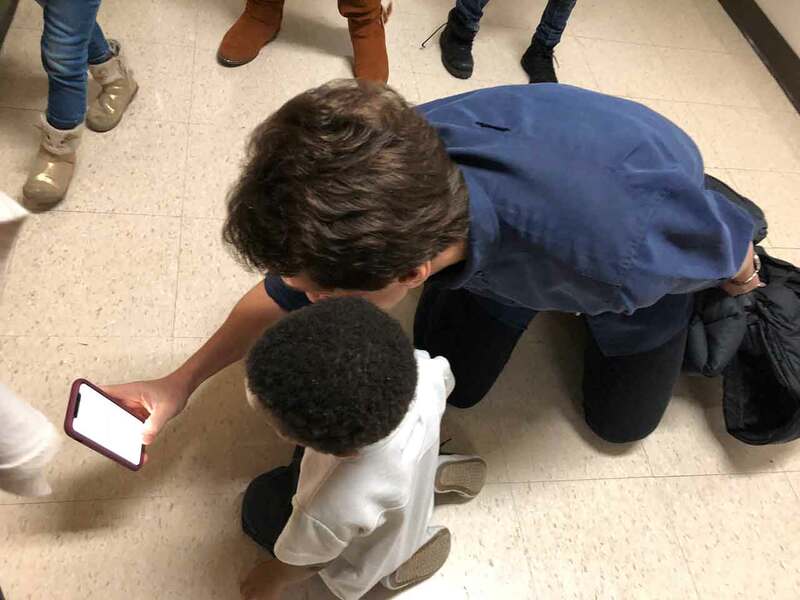 Other activities for the children — all run by volunteers — included games, dancing, face painting, caricature drawings and performances by 12-year-old Isabella the Magician. 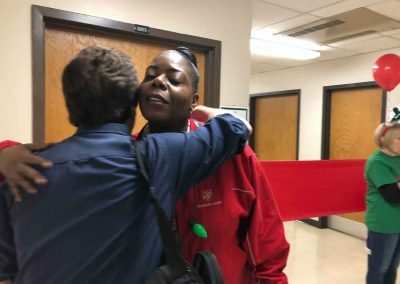 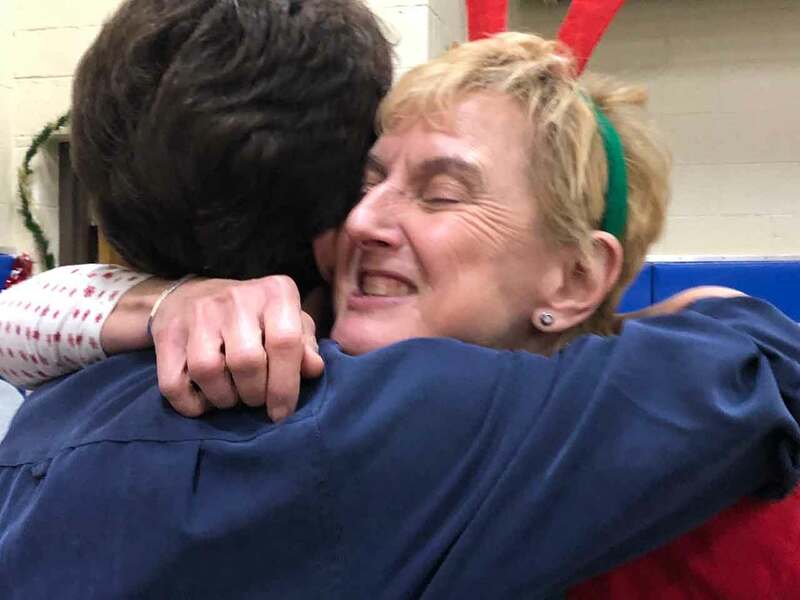 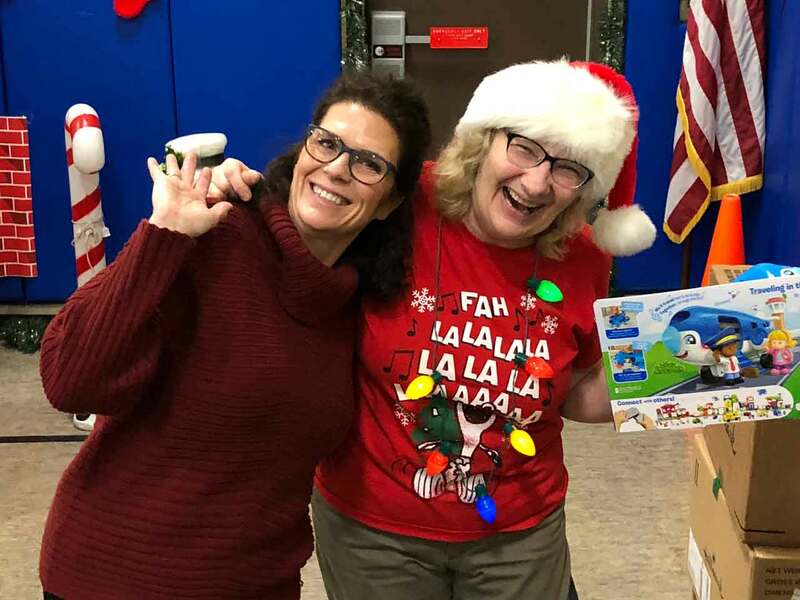 Moms were treated by massages and manicures — just enough time to relax before Santa and Mrs. Claus arrived to deliver presents to the children. 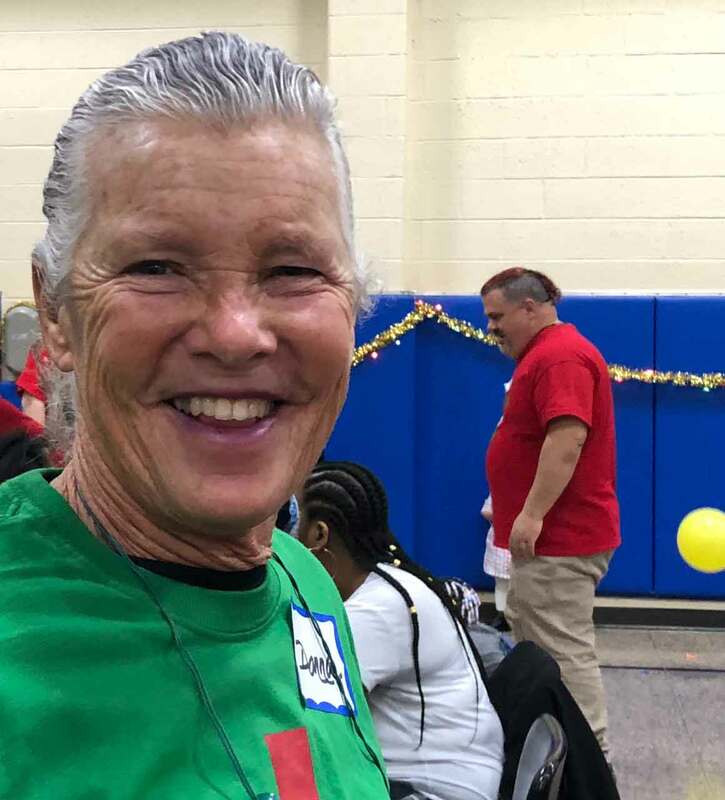 Longtime ATTH volunteer Joanne Steele has helped at more than a dozen parties over the years; this year she worked the registration/info area helping check in volunteers, pass out T-shirts and name tags, and answer questions. 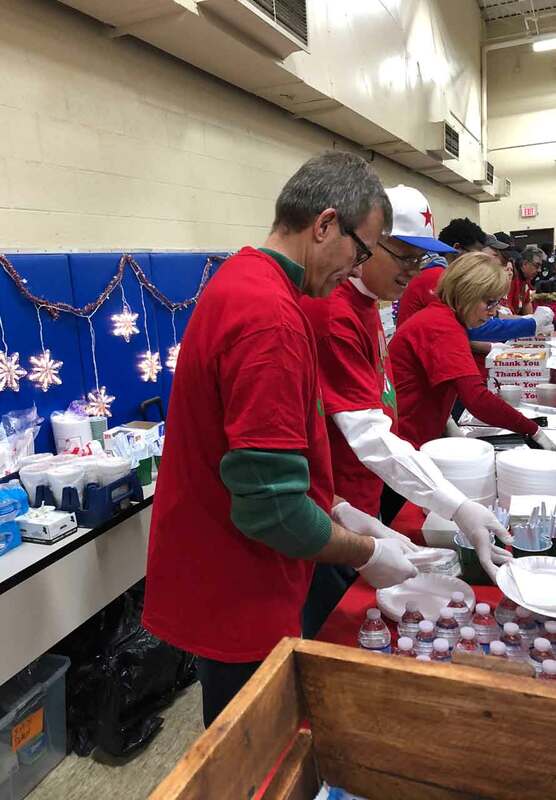 SAY Detroit is grateful to so many companies and individuals who sponsored the party, including Peter Andoni, Paul Palozzolo, Costco, Kroger, the Michigan Masonic Charitable Foundation, Southfield Pediatrics and UPS. 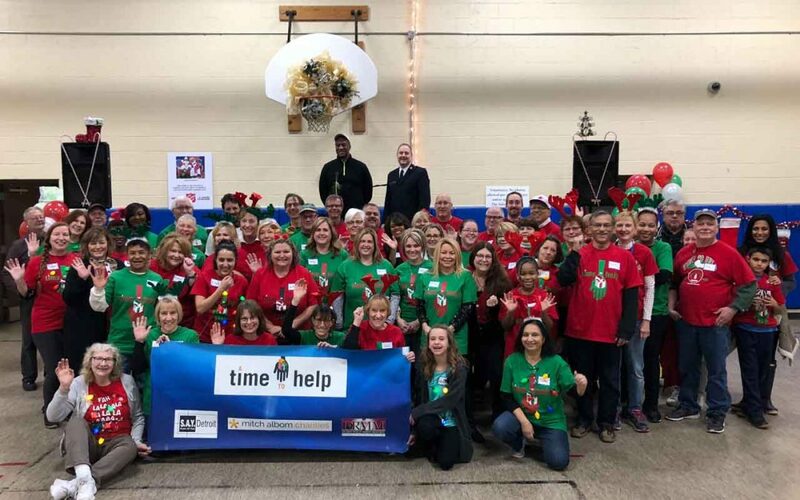 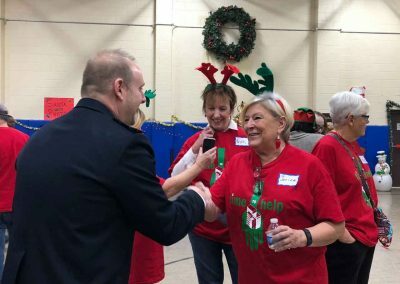 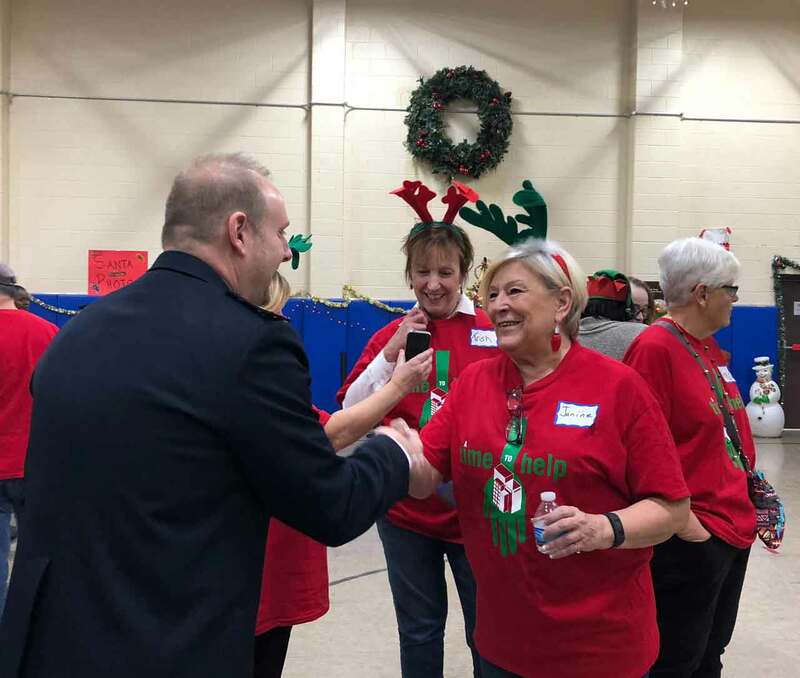 SAY Detroit would also like to thank its army of ATTH volunteers who hosted the party and donated items, including the “captains’’ of the activities. 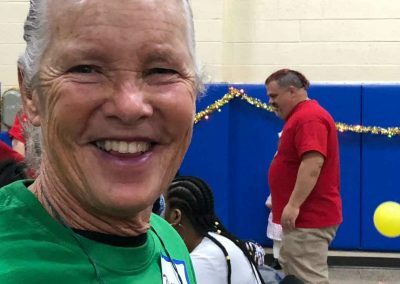 The nonprofit sends a special shout-out to Elaine Marion and Capt. 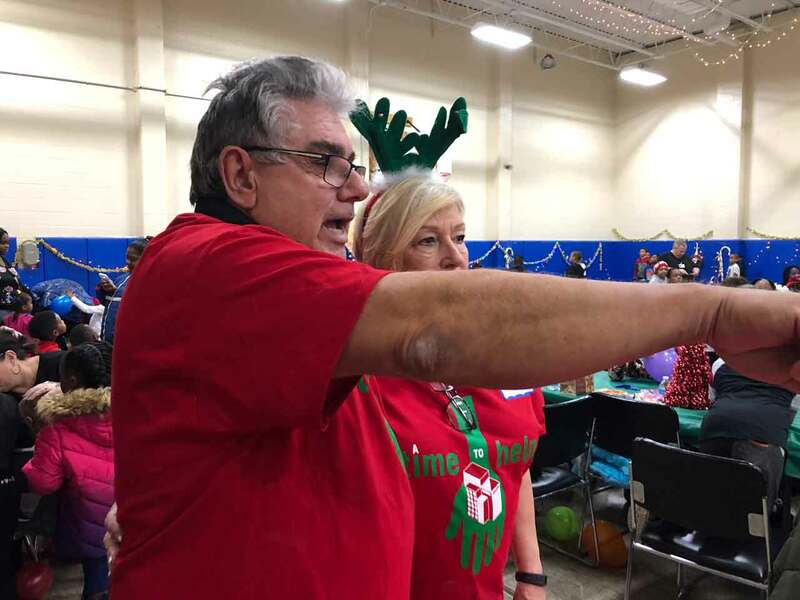 Jamie Winkler for their support and hard work in making this year’s event so special for so many.